Here’s a curious fact: for the better part of two decades the ADF has been led by quiet, at times understated leaders, who put a premium on calmness and seldom raise their voices in anger. Of course that’s a generalisation, but it’s made on the basis of working closely with the last five Chiefs of Defence Force as well as the new CDF designate. 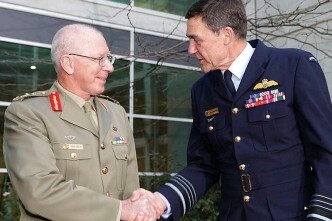 More broadly—generalising again—the current ADF leadership team continues that trend. In important respects the ADF leadership model runs counter to popular views of what military leadership is supposed to be like. Hollywood, rather than West Point or Duntroon, has shaped an image of military leaders as a band of hyper-aggressive, purple-faced screamers. Think of George C. Scott’s Patton, or Lee Ermey’s ferocious portrayal of the drill instructor Gunnery Sergeant Hartman in Full Metal Jacket. For those who don’t know the modern military, Jack Nicholson’s iconic Colonel Nathan R. Jessup in A Few Good Men exemplifies what tough leaders are supposed to be like. Perhaps that’s why Senator Stephen Conroy parsed Jessup’s ‘you can’t handle the truth’ speech in recent Estimates Committee hearings. Ironically Conroy’s target, Lieutenant General Angus Campbell, is supremely calm under fire and the least Colonel Jessup-like figure imaginable. It wasn’t always like this. A retired Major General colleague once told me that when he was a junior officer, star-ranked seniors were fearsome and unapproachable. An evolving ADF leadership style has essentially done away with the worst aspects of old-fashioned generalship. I would argue that’s come about as a result of conscious design, organisational culture, the demands of operational experience and what might be called ‘methods to achieve success in the Canberra policy world’. On leadership design, the ADF is something of a self-replicating system. 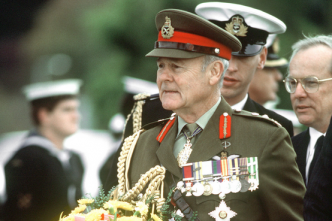 An organisation that generates a quiet and thoughtful general like John Baker (CDF 1995–98) is likely to produce more leaders of the same style—the CDF has a significant capacity to shape the behaviour of his successors. In any organisation, modelling the approved leadership behaviours is likely to assist being promoted. 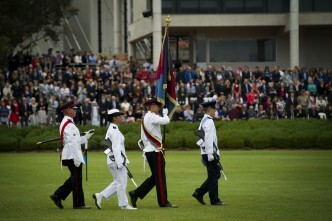 The creation of the Australian Defence Force Academy (ADFA) in the mid-1980s was based on a conscious decision to build a leadership model that favoured collaboration. Subsequent efforts to reshape ADFA’s culture to minimise bullying again reflect what the ADF’s senior leaders want (but don’t always get) from young officers. In terms of organisational culture, ADF members stress that they’re less formal in their approach to hierarchy than their British peers. The ADF is, in some respects, even less formal than a few parts of the public service, where Yes Minister-style hierarchies still prevail. At least since Vietnam, high military value has been put on a willingness to engage with locals wherever the ADF is deployed. That quality is often presented as contrasting with the American approach, which is highly mechanised and less focused on hearts and minds. Self-perception is what matters here. The ADF’s view of itself encourages a type of leadership which is low-key and approachable. Defence’s operational experience of the last twenty years has also stressed the importance of building coalitions and working effectively with other military and civilian organisations. 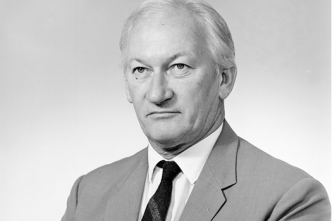 Peter Cosgrove’s command of INTEFET was most notable for his ability to work with his Indonesian counterparts as well as for holding together a disparate military group involving 22 countries. 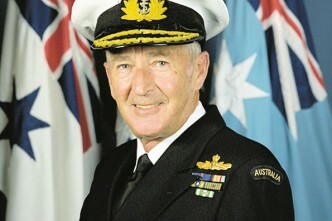 Cosgrove’s personality was a key factor in INTERFET’s success. 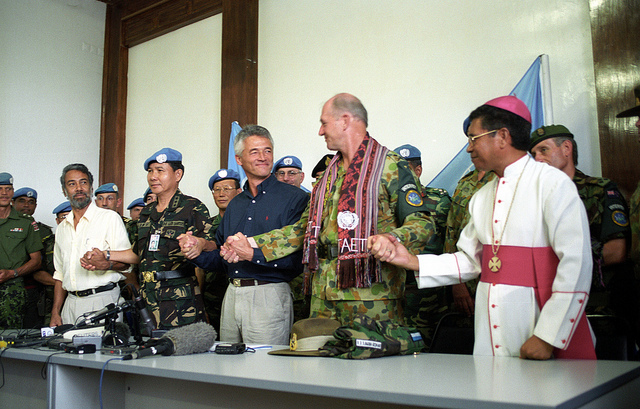 In operations before and since the Timor experience, the ADF claims that one of its strengths is the capacity to interact with partners in a friendly and engaging way. The fact that Defence is widely perceived in this light made it possible for DFAT to draw on this quality as a key part of Australia’s bid for a temporary seat on the UN Security Council. Imagery of friendly ADF personnel was prominent during the UNSC bid. Do nice generals weaken Defence’s ability to prosecute hard military operations? Insurgents in southern Afghanistan who came up against the Special Forces wouldn’t agree. There is an essential distinction between the agreession needed on combat operations and the mindset needed to set strategy. Calmness in crisis situations is an asset not an impediment. Finally, in the Canberra policy world, success usually goes to those able to build consensus-supporting specific outcomes. Qualities that help include a capacity to negotiate, patience, listening skills and a certain amount of empathy, if only to help understand and counter the views of potential opponents. Read or, better still, watch any Estimates Committee hearings and you’ll see that most of the senior leadership of the ADF have those qualities in spades. While Defence has its share of policy challenges, it tends to win many rounds in Canberra’s policy-making game, often to the chagrin of central agencies. Of course, there’ll always be exceptions to the general rule, but it isn’t by accident that the ADF’s top brass tend to exemplify the quiet qualities of leadership I’ve described. Is there perhaps a more generally applicable leadership lesson here? Peter Jennings is executive director of ASPI. 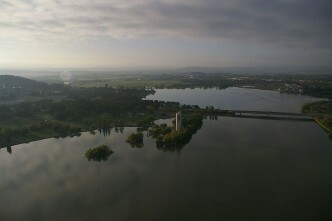 Image courtesy Flickr user Australian Civil-Military Centre.